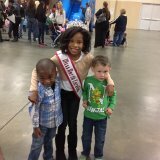 North Carolina Jr. Pre-Teen Queen Amaris Shipman, volunteered at the Fayetteville Observer’s Kidtopia. 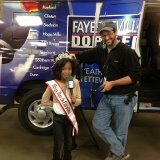 North Carolina Jr. Pre-Teen Queen Amaris Shipman, volunteered at the Fayetteville Observer’s Kidtopia. This event was presented by Village Family Dentistry at the Crown Coliseum. 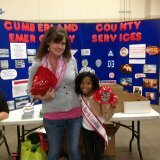 This was a hands on event for kids included inflatables, live entertainment, food, and activities. Amaris had a great time helping and was glad to be able to lend a hand to such a good cause! Author Matt LevertonPosted on March 12, 2015 Categories Community Service, Jr. Pre-Teen, north carolina, picturesTags amaris, at, carolina, fayetteville, jr, kidtopia, nam, namiss, north, observers, pageant, pageants, pre, queen, shipman, teen, volunteeredLeave a comment on North Carolina Jr. Pre-Teen Queen Amaris Shipman, volunteered at the Fayetteville Observer’s Kidtopia.